Neverwinter is a very good game; fun, engaging, and features great content and surprisingly good graphics for its age. The combat is also top notch. I want to start out by saying this is a very good game. 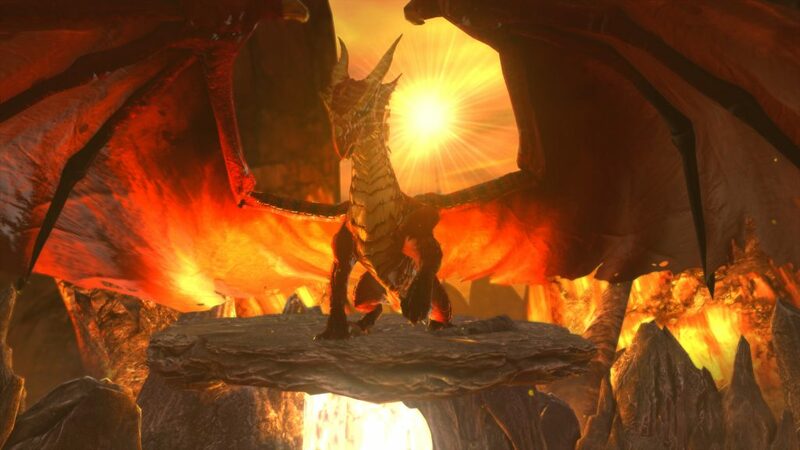 Neverwinter was released on June 20, 2013 (PC), and has grown by leaps and bounds over the years, loved by those who enjoy the world of Dungeons and Dragons, and other who simply want an immersive fantasy hybrid MMO to play. While it’s available on both PC and Console, this review was conducted on the PC. I am fully aware of the upcoming Mod 16 release at the end of April, which is going to fundamentally change numerous aspects of the game. I will update this review once Mod 16 comes out, but want to confirm this review focuses on the game as it is today. While there are issues with the game’s complexity and free to play (or pay to win) model, Neverwinter is solid. The combat is some of the best, and since games like this are all about combat, it shines in this area. But be prepared – you will spend money in this game. However, I’ve found the money I’ve spent to be a solid investment and enjoy the game enough to the point I have no regrets. An interesting note is because of this payment entry to really play the game after level 70, the median age is higher than many other games. Most players I encounter are in their 30’s or 40’s (or older). As such, Neverwinter seems to attract a more mature crowd, which can be seen in the community interaction. I personally like this. It’s also important to mention Neverwinter is a hybrid MMO; it’s not a true MMOG where thousands of people play in the same world instance. Instead, the world is broken into numerous mini-instances (shards) where 20-40 people play together. Players can jump from instance to instance, but that’s usually only required to meet up with party members that may be out of sync. What’s interesting is I don’t miss the true MMOG feel. We don’t need hundreds (or more) of people to make the game feel alive; it’s solid with this model, and there’s always people you can run into. Ultimately, Neverwinter is quite a complex game, especially for those who want to push the limits and commit to building powerful characters. Note I’ve taken multiple classes to end-game and played nearly all of the content and campaigns. There’s a lot to cover in this review, so let’s get started. Tiamat is not to be messed with! The sheer amount of content offered by Neverwinter is impressive. There’s always something to do and this game does have the depth of other well-established MMOGs. Most players say the game doesn’t really begin until level 70, and I agree; up until that time it’s more of a tutorial than not. Before we dive into the core of the game, I want to cover the expansions that are released every 3-6 months. They are known as Modules (or “mods”). 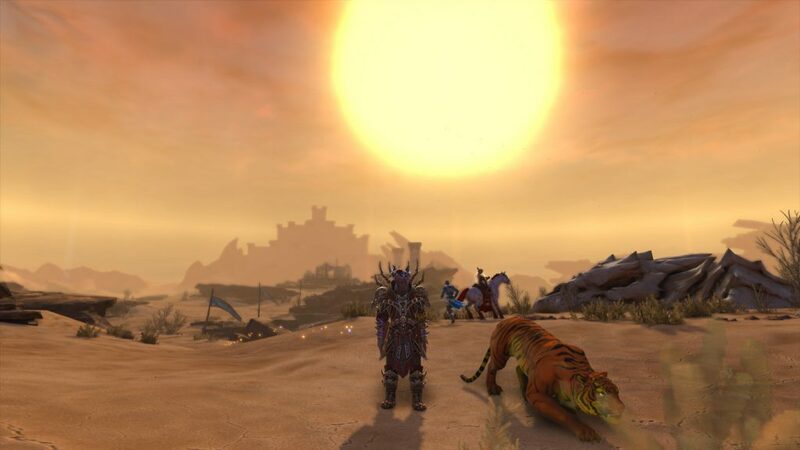 Here is an excellent overview of the evolution of Neverwinter. It’s also important to point out that Neverwinter is not an alt-friendly game. It’s very costly to invest in a character, and building up multiple characters to face end-game content (including doing dailies and weeklies) can take an exceptional amount of time. Try different classes, find the one you like, and stick with it. Neverwinter is a Dungeons and Dragons focused game. This means the Races come from the traditional D&D world, including Human, Drow, Dwarf, Half-Elf, Half-Orc, Halfling, Menzoberranzan Renegade, Moon Elf, Sun Elf, Tiefling, Wood Elf, and Dragonborn. Some of the races (such as Dragonborn) must be unlocked through real-money purchases (covered below). Each race has its own unique set of Stat Adjustments and Racial Traits, making certain races stronger for specific classes and builds. 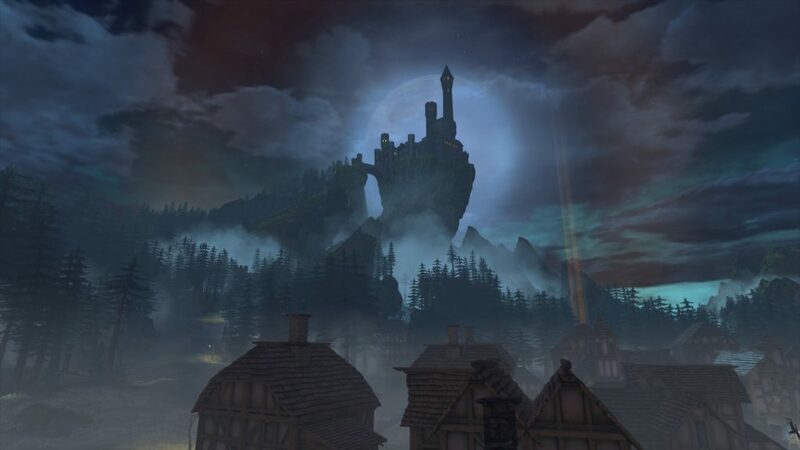 The landscapes are beautiful in Neverwinter. A recent poll was posted asking players what their favorite class was. You can view the results here. The core Stats of each character follow the standard D&D template, including: Strength, Intelligence, Constitution, Wisdom, Dexterity and Charisma; however the impact of these stats is not as traditional as one may think. The impact of a stat also depends on the chosen class. For example, when running a Hunter Ranger, Strength doesn’t impact damage (instead it impacts resistances), but Constitution impacts the damage dealt. But if one runs a Great Weapons Fighter, Strength and Dexterity are the main damage-related stats. Generally, players only put points into two stats specific to their class requirements. The player can choose to upgrade their stats every 10 levels, allowing for customization as the character grows. There are tons of additional Derived Stat values such as Power, Critical, Armor Pen, Recovery, Life Steal, Combat Advantage, Defense, Deflect, and Regeneration (to name a few). These derived values comes not only from the base stats, but equipment, mounts, and companions (which I’ll cover below). It’s also important to mention having specific derived stats for end-game areas (such as Barovia requiring at least 70% Armor penetration) is another important part of the game. 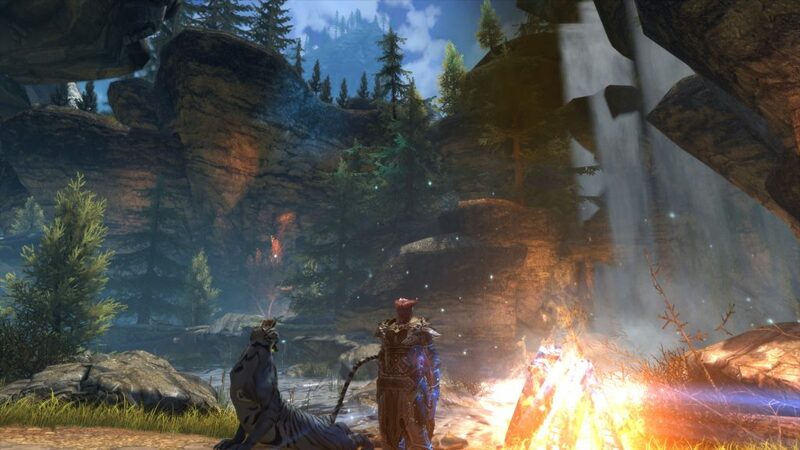 Life functions the same way it does in other games, but in Neverwinter there is no natural regeneration, so the only way to replenish your life is through Consumables, Life Steal, or Healing. A player can also stand next to a campfire to regenerate. Luckily, campfires are found throughout the world, including dungeon waypoints. Powers are the heart of a class and character, empowering attacks, defenses, passives, and other actions. General Powers are derived from race and are all passive. A total of 9 powers can be configured, and each class follows the same core template: two “at-will” (which are your generic bread and butter left and right mouse click), three “encounter” which are the heavier hitting often class-specific attacks (with a cooldown), two “daily” which are the strongest enablers for a class (some attacks, often debuffs or heals), and then two “class features” which are passive settings (impacting speed, bonuses, etc). Some classes (like the Hunter Ranger) swap between stances, allowing for an even greater configuration of actions. Each power can have up to 4 points invested into it, and the character receives one point per level. Once a character reaches level 70, points are randomly awarded for each “extra level” (covered below), which is part of the end-game alternative advancement system. As mentioned above, at level 30 the player can choose their Paragon path; this changes the available powers a class can choose. Feats are the supportive stat system where one can distribute points into specific enhancements for things like crit chance, damage with specific attacks and defensive values. Each class has three branches of feats, and a player can pursue them in any order – but it’s important to select at least one end-category feat since it usually has the greatest impact on a class. Boons are a secondary support system that mainly come from campaign rewards, but can also be provided by guilds (which can make a huge difference). Players choose the boons they want for their character as they advance, usually focusing on damage or defense (or in some cases Life Steal). This is why campaigns are so important (covered below) because as the character moves through each campaign, they gain the permanent boons, which can have an impact of more than 2,000 gear score. Is there Build Diversity? 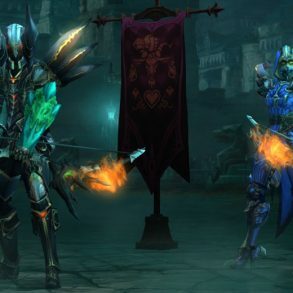 Like most other character-building MMOs, while Neverwinter provides a good selection of skills for customization, most end-game builds use nearly identical setups. If you’re a Templock, you are probably 95% like other templocks (from a Power, Feat and Boon perspective). The maximum character Level is 70, and the game automatically downlevels a character depending on the zone they are in; this allows any character to replay any content (they may have missed, which is very important to complete campaigns). However, once a character reaches level 70 they continue to accumulate and “re-level” again and again, receiving rewards, which can also include extra skill points that can maximize a skill. That place looks safe! Let’s go! The World of Neverwinter is beautiful, hand-crafted and quite impressive for a game that’s five years old. Deserts, Snowy Mountains, Swamps, Misty Forests, Rocky Canyons, Fiery Pits and more wait for those willing to explore. Within those regions we have Crypts, Caves, Dungeons and … Dragons! The game is instance based so you’ll rarely see more than 20-30 people in a given zone, but that’s plenty. I actually prefer the feel of Neverwinter over traditional MMOGs. The size of the zones is perfect; immersive, and just active enough to feel like you are a part of a greater story and world. The density of monsters is also very well-done. There are also zones that really stick out, such as Barovia, which is beautiful and terrifying (and a place end-game character spend a lot of time at). Another thing I really like is there is only one major city (Protector’s Enclave). It is so refreshing to have only one large place to memorize and call home. Well of Dragon Runs begin every hour at the 45 minute mark and last 10 minutes! 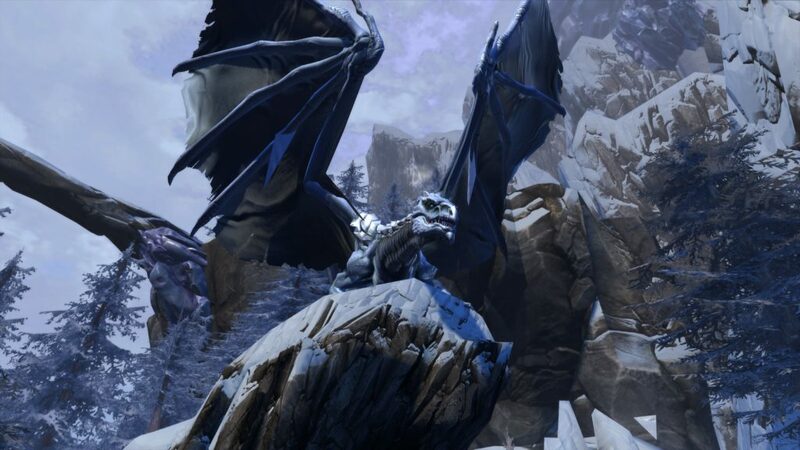 Quests & Campaigns are both intertwined and serve as the heart of Neverwinter content. When a player first starts, they are led through a basic tutorial and it appears the questing system is nearly identical to other games, but once the introduction quests are complete, Campaigns transparently become a factor. 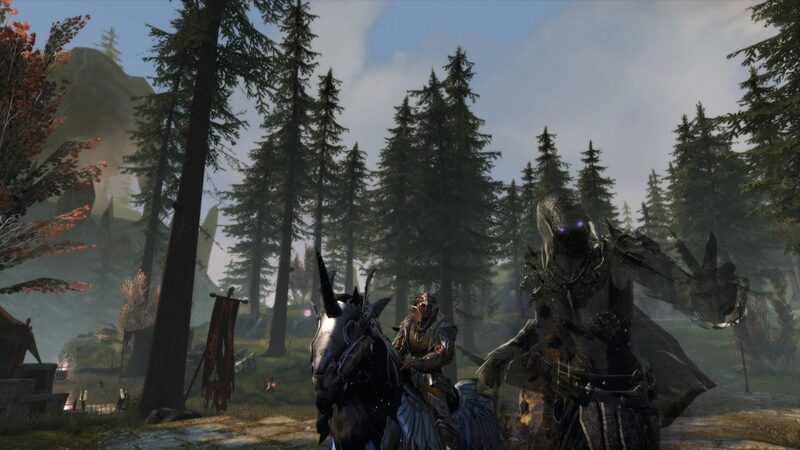 This is usually confusing to new players as they are accustomed to going from point A to point B to progress, but with Neverwinter, one can bring up the Campaign interface and start a whole new line of quests specific to that campaign – and some of them span multiple zones (and even campaigns). One thing I want to mention is that nearly all quests are voice acted, and all of them are very well done. Kudos to the developers for this! There are 17 Campaigns in total, and many of them take more than a month (each) to complete because they are time-locked. Each Campaign is a stand-alone story with daily and weekly quests, providing rewards in the form of boons and gear. There are also specific Dungeon Unlocks, and players can only earn a limited amount of currency each day/week. Each campaign has custom currency that can be spent to advance the campaign or purchase campaign-specific items. Campaigns can be complex, and it can be easy to skip necessary quests. One of the most important factors of completing campaigns is unlocking and selecting Boons, which are essential for progression. Many campaigns will offer multiple paths of completion, allowing a player to focus on unlocking content or boons. Each player makes their own decision, but the end-result is the same. Some campaigns also allow for the daily crafting of keys, which can be essential to obtaining additional rewards for specific dungeons. Note some campaigns have a “schedule” which defines bonuses that take place during different days of the week. Admittedly the campaigns can be a little repetitive (especially the Acquisitions Incorporated ones), but the good news is as a campaign progresses, more difficult content opens. The only way to get into the end-game “ultimate” dungeons is through completing key campaigns. It’s no secret redoing campaigns on different characters can become tedious at best; fear not, for those willing to spend the Zen, one can purchase Campaign Completions for their character. Also, when one character has completed a campaign, they can purchase an account bound token reducing the cost of completing a campaign by 50% for another character. Dailies and Weeklies are the bread and butter of gameplay after reaching level 70. They are required to progress through campaigns, and allow a player to set specific daily and weekly goals. Dailies reset at 11am GMT (2am PST), and weeklies reset every Monday at the same time. Daily quests aren’t the exact same every single day, which provides a bit of variation to the repetition. 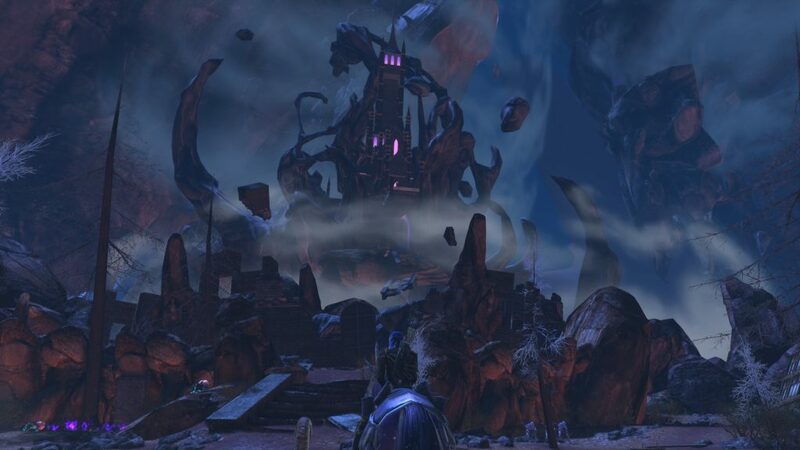 Next to campaigns, Dungeons are the core gameplay and content for Neverwinter. The diversity in design, mobs, challenge and overall “fun factor” is great. For some reason, the dungeons in Neverwinter don’t feel as static and stagnant as other traditional fantasy MMOGs, probably due to the combat system. Dungeons come in 5 flavors: Dungeon (3 player), Epic Dungeon (5 player), Skirmish (5 player), Epic Trial (10 player) and PvP (5v5 to 20v20). The difference between Skirmish and Epic Dungeon is the difficulty/duration and reward. There is also a Random option, which is used for daily bonuses for Rough Diamonds (for the first daily run). All of these dungeons utilize auto-matching (which works pretty well) with a traditional template of Tank, Healer and DPS. One issue with this system is the Templock (the Healing Scourge Warlock) doesn’t qualify as a healer. This is a problem because it’s one of the best healers in the game. I’m not sure why they haven’t fixed this (it would be very easy to do). One thing that’s quite important is you get into dungeons very quickly due to the active community base. They often pop right up. The only real issues I’ve encountered is some dungeons don’t have solid respawn location, often requiring a player who dies to re-run the length of the dungeon. Character Equipment is the bread and butter of each build, following the traditional Green (uncommon), Rare (Blue), Epic (Purple), Legendary (Orange), and Mythic (Cyan) colorization. Each character can wear a combination of Head, Armor, Arms, Main Hand, Offhand, Feet, Neck, L/R Rings, Waist, Shirt and Trousers. 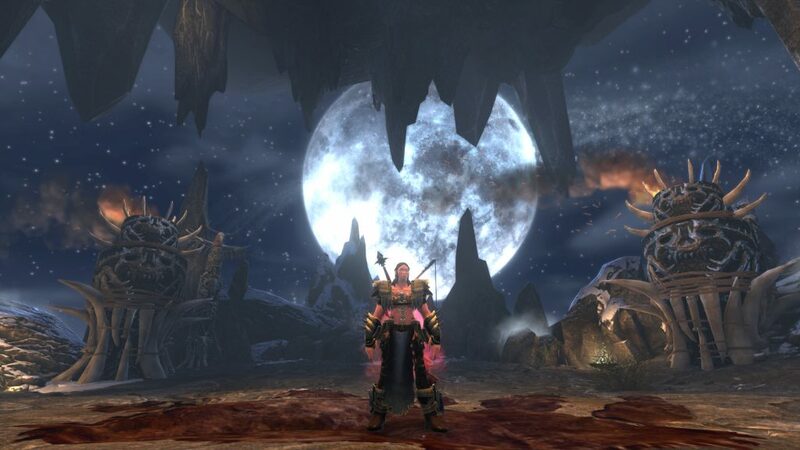 As with other MMOGs, items can be unbound, account bound and character bound. Neverwinter does have an Identification system where most dropped items must also be identified with identification scrolls. A note of interest is some of the most powerful items in the game are crafted by players! This lends excellent value to the crafting system, which I’ll be covering below. Also, when it comes to rings, doubling the special modifiers from a ring doesn’t stack, so get two different rings! Neverwinter features the ability to configure multiple Loadouts. With this system a player can switch between different paragon, feats, powers, and equipment. I don’t know how many players configure multiple loadouts for their characters, but I’ve never had to. However, I can see a Cleric switching between a DPS and healing spec. Artifacts come in two flavors. Actual artifact items (4 slots in total), and items that have Artifact (set-like) properties. Artifacts are quite important and augment a build substantially, providing a main attack power and support set bonuses. Artifact items (weapon/offhand and neck/waist) are where players can configure specific sets. Characters can choose to show the equipment they are wearing, or custom Fashion items, which are often silly or visually impressive. Most fashion items are purchased through the Zen store or the Auction House, but some can be acquired through events. It’s fun to throw a gigantic demon skull on your mage, or one of the weird D&D wedding dresses. One thing I like about Neverwinter is no two characters generally look the same. This is a very good thing! Characters can also transmute an item to look like another (of the same type). Events are notorious for dropping transmutable items. Item Level is a numeric value that represents the overall “power” of a character, and it’s an integral part of the game since many dungeons require a specific item level to access. While the number isn’t absolute, it’s definitely within reason relative to a character’s overall prowess. Item Level is calculated from Equipped Items + Enchantments/Augments + Companions + Mounts + Boons (Campaign/Guild) + Armor Reinforcement. Planning upgrades and exactly what Item Level they will provide is difficult and complex, but it’s generally the rule of thumb to simply upgrade the weakest equipment and runes as often as you can. Beyond Equipment and Enchantment stones, Bonding stones with a solid companion are one of the best ways to raise ones item level. In some cases, a higher item level doesn’t necessarily mean more damage. For example, a 435 ring could be better for a specific build than a 500 ring that doesn’t have the right stats. When a new character hits level 70, the best way to get a solid Item Level is to buy Level 490 equipment from the Auction House. Consumables are important for those who want to push the limits of their characters. The nice thing is the game doesn’t really require the use of consumables (mainly healing potions) for those who want to go at a slow and easy pace. But if a player wants to solo 3-5 man dungeons, potions and food from a Guild can make all the difference. Enchantments are the secondary layer of customization on top of equipment, and the system is very well designed. They are stones you can socket in your equipment and come in 7 subsections: Offense, Defense, Armor Specific, Weapon Specific, Overload, Utility and Runestones. Runestones are only for companions, and most players use Bonding Runestones, which share a companions stats with you during combat. The diversity in Enchantments is extensive, allowing the character to focus on areas they may be deficient in based on their equipment, class and overall build. Want critical strike and defense? Azure has you covered. What about hit points and defense, but in a defensive slot? Brutal can do that – but if you put Brutal into an Offensive slot, it will instead provide both power and critical strike. As such, different enchantments can have different effects based on how they are slotted (offense, defense, utility, etc.). Enchantments don’t have level requirements on them, so once a new character can socket them, it’s possible to “power level” a new character with high-level enchantments (offensive and defensive). Enchantments range from Rank 1 to Rank 14. Weapon & Armor specific enchantments are quite expensive because they can have a far greater impact than just raising stats (armor enchantments can literally save your life in battle). Weapon and Armor enchantments are also different as they don’t have ranks, instead they are quality based: Lesser, Moderate, Greater, Perfect, Pure, Transcendent and Unparalleled. A top notch Unparalleled enchantment will often run well over 5 million astral diamonds. Overload enchantments are rare and unique, usually only useful with end-game raids (and specific bosses). They are time consuming and expensive (most players I know don’t use them). Utility enchantments are supportive in nature and can provide extra treasure when you kill a target; the two most common are Quartermaster and Dragon’s Hoard. I cover these in more detail below under Economy. Refine is a process where the player can raise the rank or quality of an item. The only items that can be Refined are artifacts, artifact-hybrid equipment (such as end-game weapons and neck/waist), and enchantments. This is essentially the equipment-based upgrade system for the game, and it’s well-done. As mentioned above, items range from white to gold (or cyan for mythic) and enchantments fall within a rank level of 1-14 (except for weapon and armor, which are quality, like items). One can simply right-click on one of these items and select “Refine”. Reagents are destroyed until a ward is used. Two types: Preservation, Coalescent (Upgrade 100% chance). 1 Coalescent is 500,000 diamonds. The general rule of thumb is only use a Coalescent when the upgrade chance is 3% or less, but always use Preservation, even for those at 90% chance. Item Refinement is key to improving a player’s Item Level (covered below). This is where Refinement Points (RP) come into play. RPs are acquired by salvaging gear and gems; the general rule of thumb is sell unidentified greens, identify and convert all blues, and always convert all gemstones. Most items only require an enchantment stone, but artifacts can require a combination of different stones and a mark. Refining equipment takes hundreds of thousands of refinement points to get to Epic/Legendary. This is why acquiring refinement points is so important because character growth is all about refining gear. RPs are acquired by converting gems, equipment, and enchantments. Converting destroys the item. The character Inventory interface has an “options” icon in the lower right where a player can select “Convert Refinement Points…”. This brings up a secondary interface where the character can select all of a type of item to convert and have the game auto-convert those items. In order to convert equipment, it must be identified and high enough level. Low level enchantments are excellent for conversion (rank 8 and below), but the rule of thumb is do not convert Rank 9 or higher enchants – sell them instead. The game had a feature called Salvaging which was similar to converting items to Refinement Points except it converted items to Rough Astral Diamonds. This was removed with the release of Mod 15.. Companions are critically important in Neverwinter, and I really like the system. A character can queue up to 5 active companions at a time, and one of them can be summoned to fight by your side. All active companions grant bonuses, but the summoned companion is the only one that provided stat bonuses (based on their gear). This is where things can get a bit complicated because different builds require different companion bonuses; the most traditional buildout is: Chultan Tiger, Air Archon, Earth Archon, Fire Archon and Razorwood. Just like items, Companions come in green, blue, purple and orange (legenday) levels of quality. Gearing our your summoned companion (usually the Chultan Tiger) can be quite costly, but is very impactful on your character, often giving more than 2,000 item level depending on quality, gear and other factors. Bonding Runestones are the core of a summoned companion, causing the stat bonuses to be shared when the companion enters combat. It’s important to say active non-summoned companions don’t need any gear – only the quality level has an impact. Companions gain experience and level with you (with the summoned companion gaining experience the quickes). Max level of a companion is limited by rarity (25 for green, 30 for blue, 35 for purple, 40 for orange/legendary). To upgrade a companion’s quality, one can spend either astral diamonds or companion upgrade tokens. The tokens are a pain to obtain, so players generally spend astral diamonds until they are leveling from purple to orange. There is one exception to the unsummoned rule – when any companion (summoned or not) is legendary (orange), it will provide extra stat bonuses. So characters with all orange companions will have incredible benefits; but it’s very costly. I do wish the game allowed us to visually display a different companion than the one we’re using (like we can with a Mount). The most commonly used companions across multiple builds are: Siege Master, Wild Hunt Rider, Erinyes of Belial, Fire Archon, Air Archon, Earth Archon, Con Artist, Lillend, Tamed Velociraptor and Chultan tiger. Mounts are another very important support system in Neverwinter, not only because they help with speed, but because they can be augmented to provide powerful passive enhancements through Mount Insignias. Similar to companions, a character can have 5 mounts in the stable at once (and one active). However the active mount is what provides the riding and combat bonuses, and the inactive stabled mounts only provide the insignia bonuses. The rarity of a mount increases the potency of the insignia bonus. Epic and Legendary mounts have a Universal Slots. 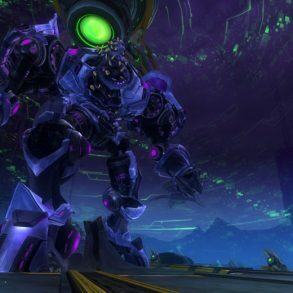 A player can change the visual look/skin of their mount (allowing for a very powerful mount to be active, but display another silly mount). The active Mount has a Combat Power (legendary only), Equip Power (stat bonus, such as +2,000 power), and Movement value (110% for epic and 140% for legendary). Some mounts are account wide. Others are character-only. The diversity of mounts is fantastic. And they all look great. You can find a complete list of mounts here. This is also a great tool that lists mounts by insignia. The sheer volume of items, companions, mounts and sets in this game can been seen through the Collections system. It’s also a mechanism where players and research items, where to get them, and the impact they would have on a build. When I say there are a lot of collections, I mean there are more than 15,000 items that can be acquired through dungeons, campaigns, events and PvP. More than anyone could ever “find”. Within the Collection system, a player can research any and all items, where they are found, and what benefits they provide. The newest additions are always at the bottom of the list, and when expansions are released, this is the place to see the new cool stuff that’s been added (and what to pursue). Crafting in Neverwinter is a bit different from other MMOGs, and Mod 15 brought with it a complete revamp of the crafting system. The Workshop serves as the base of operations for everything that’s crafting related. Worktables are used for crafting items, players can hire professionals (which engage in resource gathering and crafting on a time-based system), and assign crafting tasks. While most crafting is done passively over time, there is the option of spending Morale to instantly craft items (which is acquired on a daily basis). The crafting system revolves around the use of Gold and tools. The higher quality the tools, the higher chance of a “better” craft or gathering. One key point is the best weapons in the game can only be crafted (and sold for profit). Admittedly, the crafting system doesn’t really do much for gameplay and progression until end-game, and even then, the system only becomes viable for building the Best in Slot (BiS). Ultimately, I’ll admit I’m not much of a crafter. I’ve played with and used the system, but to pursue viable crafting, one has to put a lot of time and focus into the system, and it’s something I just didn’t do. But I do know one of the best words of advice from experienced crafters: do not rush tasks! It’s not worth it. The world of Neverwinter is full of Treasure in multiple forms. Rewards that pop out when you kill a target, chests of loot, campaign completions, and more. The Foundry is a player-made adventure support system for Neverwinter, however I admit I simply have not used it, and I don’t know anyone else who really uses it. This is not to say players don’t participate in this system, but my understanding is it’s quite dated and most people who go through the game focus on the core content designed for the game and simply aren’t enticed to play the player-based content. It was recently announced the Foundry system is being completely removed from the game in April 2019. The Diversity in Zones is impressive. As with most fantasy MMOGs, Neverwinter is all about Combat; and it certainly does not disappoint. As a matter of fact, the Combat is some of the best I’ve seen in a third person fantasy MMO. It’s fluid, responsive, engaging and fun. A lot of fun. The games does not follow the traditional tab-based target selection, instead it’s direction and “point” in nature (similar, for example, to Black Desert Online). This allows for skills that have arcs, angles, and other directional requirements. The game also has something called Combat Advantage, which is a blue circular indicator at the foot of your target(s), showing if the angle of attack will provide enhanced damage. This system allows for agile movement-based combat where players will jump behind their target during a fight to inflict additional damage. Skill execution order of rotation is also quite important, with end-game raids and bosses requiring very experienced players who know the best positioning possible for complex fights. Another key component of combat is that of the Attack Telegraph, which most games now have – clear red indicators on the ground that tell you where AoE or specialized damage or attacks will take place. Other games are notorious for having their telegraph system not function with accuracy – but i can attest the telegraph system in Neverwinter is nearly flawless. The developers did a fantastic job ensuring combat was visually accurate, engaging and most importantly – Fun. One thing I really like about the combat in Neverwinter is you can hold down your left or right mouse button to auto-execute your at-will attacks and if you press Q-R (or another action other than at-will) it will override the auto-attack of the at-will and execute that action. It’s great. Death is merely an inconvenience in Neverwinter, popping you back to the last point of restoration. While the game does have resurrection scrolls and dying in the middle of a boss fight (and releasing) can result in you having to wait until the battle is done (i.e. you can’t rejoin unless the whole party wipes), there is no XP loss. Players can also revive fallen allies once every boss battle. Heroic Encounters are spread throughout the world; these are map-based special “tough” encounters usually requiring more than one character that provide zone-specific rewards upon completion. Many of the daily campaign quests require the character to complete multiple heroic events. They are very easy to see on the map and by the light beaming into the sky. There are many static heroic locations that are on timers and “activate” every 10-15 minutes. 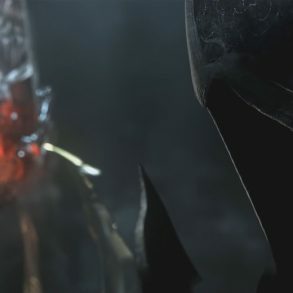 Hunts are an important end-game mechanic, allowing players to team up and pursue specific bosses to farm select gear drops in both Barovia and Omu (the most difficult). Multiple cards can be played to make the hunt more difficult, but yield better rewards. I also like the “helping others” standard that comes with hunts; stronger guild-mates and even random players regularly offer to join and help newer players hunt specific bosses. Ultimately, the hunting system is a lot of fun and can be quite challenging. Players are almost always engaging in hunts, so finding a group isn’t difficult; it can just be challenging (and costly) to continually replay the same boss card (with support cards) again and again, but when the item you’ve been looking for finally drops, it’s fantastic. Occasionally, Contests will activate within a zone, requiring the players to execute some sort of action (kill specific mobs, capture fleeting bugs, etc.) to receive a zone-specific reward. They are fairly underwhelming and mainly a side node of simple fun the first time around, but players don’t really pursue them. Barovia is Eerie and Beautiful. Travel between zones requires the player to either go to a zone entry/exit point (which allows travel to any other accessible zone, so it’s not a connection web), or for them to use the VIP travel sign (which is worth every penny). While in the zones, riding a mount when out of combat is the preferred method of movement. Different quality mounts move at different speeds with the highest speed being 140% (legendary mounts). Players can also increase their core movement and mount movement speed through boons (Guild) and the Mount Insignia “gladiators guile”. Healing and Health are managed through life steal, potions, and warm fires. The game doesn’t really feature any type of regeneration, so building a character with some life steal is critical to survival. For those tough battles, potions are used, and when pausing between combat, a character can regenerate around a fire waypoint. The Character Inspect system is very well-designed – you can look at any character’s equipment buildout and item level by simply selecting them (including right-clicking on their name in chat). Each zone has a Bounty Master that sells items for zone-specific drops. Most of these items are blue are useful only to those who haven’t invested any Zen into the game. One thing I really like is the Quest Direction System. One almost never gets lost as a nice glowy trail clearly shows to provide direction to an important destination. Neverwinter isn’t really “Free to Play”, but that’s not a bad thing! While a player can start the game and get a feel for the leveling process and the way different classes play without spending a penny, sooner or later, anyone who really wants to invest in this game will have to spend some amount of real money. First, there are three core currencies in Neverwinter: Zen (real-money currency), Astral Diamonds (AD) (in-game currency bridging to real-money currency) and Gold (in-game money used for consumables and crafting). Zen currently costs $1 per 100 on PC. Zen can be converted to AD and AD can be converted to Zen. On PC it’s currently a 1:500 ratio (1 Zen = 500 AD). The conversion system between Zen and AD (paired with many Zen store purchased items being sold on the Auction House) technically does provide a mechanism where players can only play in-game content and over time have the ability to acquire Zen store content – but the reality is it would be ridiculous for them to do so because of the sheer amount of time it would take based on the reward. This is emphasized in the fact a player can only refine a maximum of 100,000 Astral Diamonds per day (per account). 100,000 AD is 200 Zen ($2). So by refining the maximum amount of AD every day for an entire month (30 days), the player could make roughly $60 worth of AD (3,000,000) that could be converted to Zen. To maximize the Astral Diamonds each day, a player must run specific dungeons that grant the AD and bonus; this can take 1-2 hours (and sometimes people prefer to run multiple characters). So it really comes down to paying the player $1-$2 an hour for their time. While Zen is account wide, Astral Diamonds are bound to characters. However, there is a way to transfer Astral Diamonds between characters. Simply go to the Astral Diamond exchange and select Buy Zen at a rate that’s way too low (that nobody would accept). Post that purchase order – then cancel it. Those ADs now go into an account-based coffer. Switch to your other character, go to the Astral Diamond exchange and reclaim that cancelled order. Voila! Seals are end-game common currencies players can use to buy “good” gear to take a character to at least 10,000 in item level. Seals of the adventurer are easiest to get first (and drop in the leveling dungeons), and then Seals of the Brave are acquired by running mid-level dungeons (or skirmishes). Seals of the Brave can be used to purchase item level 520 gear from the proper vendor (which is also the VIP Seal Vendor). The most common dungeon to re-run for Seals of the Brave is Demogorgon. A complete list of all dungeons and what seals drop can be found here. Trade Bars are mainly used to buy companions and mounts, but it takes quite a few and the bars are difficult to obtain. For the post part, players don’t focus on acquiring trade bars, but after 6-12 months of gaming, they realize they have enough to buy something they don’t have. Wait… am I playing Skyrim or Neverwinter?! I CAN’T TELL! I don’t care. It’s great! VIP is the most important (and probably rewarding) investment in Neverwinter. There are 12 levels of VIP, each costing $10 per level, and each level unlocks something important. VIP 1 is highly recommended with a 10% XP bonus, 15% bonus ADs, and one free Enchanted Key every day (used to open end-game boxes). When it comes to spending Zen, spend it on VIP first. Higher levels of VIP will cause you to stop receiving injuries, summon a travel point that allows for instant travel anywhere, bank access, vendors, bonus exp, bonus diamonds, and more. A high level VIP can remove all posting fees for the Auction House, or obtain substantial discounts from the Wondrous Bazaar (but to be honest, most players just ignore the Wondrous Bazaar because the prices aren’t good at all). VIP can also provide passive stat buffs to party members. Word of wisdom: do not buy keys! Only use the daily key from VIP! Devotions are invocations each character can make 6 times a day at 15-minute intervals (except for the sixth which is a 30-minute interval). Devotions reward XP bonuses, rough astral diamonds, a blessing and a Celestial Bag of Holding. The bag is what we’re really interested in because there is something to be said about being strategic and planning ones investment in Neverwinter. This is where Coupons from the Celestial Bags of Holding one acquires through daily Devotions come into play. If you really want to save money, wait until you get coupons. Want that Chultan Tiger Companion? It’s $25/2500 in the Zen store. But if you get the “33% off any striker companion” it’s now $16.75 (1675). Want to buy that awesome mount? Wait until you get the 33% coupon. Want to get the Dragonborn pack? There’s a coupon for all packs, and a 20% off “all items” coupon. A complete list of Coupons can be found here. The Auction House is very-well implemented and accessible to all. It operates as the center of trade between players and can be accessed anywhere and at any time (even in dungeons). It’s very active and almost always has what a player is looking for. Many items that can be acquired from the Zen store can be resold on the Auction House (Companions, etc.). Traditionally, Thursday is the worst day to buy items because they are the most expensive, and Sunday is the best day to buy items because of the weekend hustle and competition. Neverwinter has a built-in game Calendar of Events and it is always busy with something. Featured Events are the full game-wide even ts that everyone can participate in; they include discounts, custom challenges, and more. Players can look two months into the future and see what events are planned. This is important because some events provide double rewards for opened items, allowing players to hoard certain caches and wait to open them during the event. There are also double influence, seals, shards, and more. VIP sales are regular as well (sales of both VIP and specials for those who already have VIP). There are more than 600 Achievements in Neverwinter, and many provide not only new titles, but item rewards as well. A complete list of Achievements can be found here. It’s important to mention a combination of Quartermaster and Dragon’s Hoard Enchantments that produce additional drops that can have a great impact on securing additional Refinement Points. The key is the Quartermaster Enchantments need to add up to at least 10.5%. If the combined value is under 10.5% higher ranked enchantments (7 I believe) won’t drop if you open the bags. Some players just run 5x Quartermaster enchantments, but the best is a combination of both. Quartermaster Enchantments have a chance to drop purple bags (which can contain jewels and enchantments) while Dragon’s Hoard enchantments have a chance to drop additional jewels. What should a new player purchase? This question is often asked. The simple answer is: VIP. At least Rank 1, which is the most important because it provides an XP boost, and a free Key to open the end-game lock boxes that can literally drop mounts worth more than $100. For those willing to invest, I recommend VIP Rank 7 because you get a Party Buff (3), Travel Signpost (4), Invoke Anywhere (5), Mailbox (6) and finally No Injuries (7). But level 1 is the most After VIP is: Account-wide Mount, Bags, Shared Bank, and the Adventurer’s Head Start bundle. 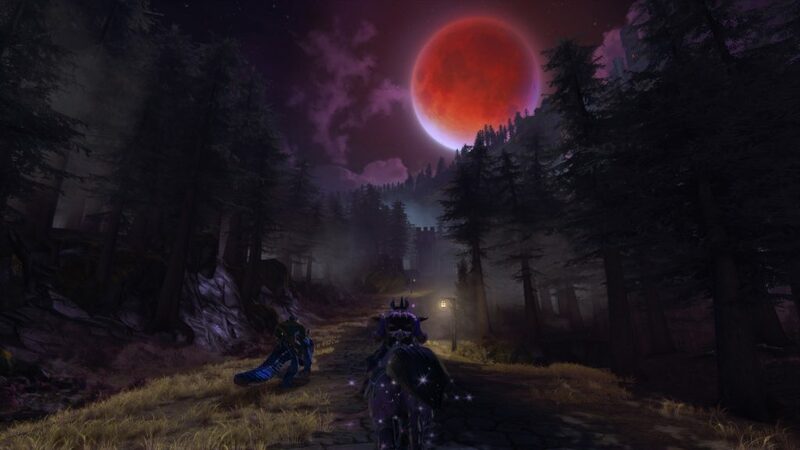 Prepare for some Night Hunting! For a game that’s 5.5 years old, Neverwinter is well-maintained and updated. When I first started playing, I didn’t have any Server issues. The game ran smoothly and I didn’t experience any disconnects. Then around the second or third week in February (2019) I began to have trouble logging in and experienced occasional disconnects. I would also occasionally get lag hits. During the third week of February, the Servers were up and down over a 24 hour period. Things have smoothed out since then, but those who have been playing for years have told me it can be a roller coaster ride depending on where you are. But it’s often difficult to discern if server issues are ISP or game-related. Regardless, I spend 99% of my time playing and enjoying the game with little to no lag. It’s just easier for us to remember 1% of the time we cannot connect, have latency, or other issues. The game does feature real-time Patching of assets, which is a nice system that allows for quick fixes of broken content. There are issues where a player in a pick-up dungeon group (PUG) can Lose Connection and hold the entire party up for 4 minutes before the game will continue. While the game has a voting option to kick, it doesn’t seem to work very well. However it is impressive to have one person from Europe, another from the US, and a third from Morocco all in the same group and able to play with little to no latency. 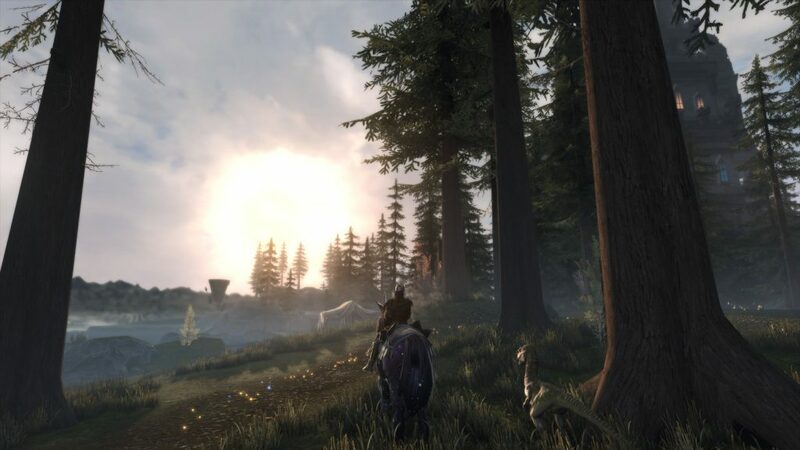 The Graphics of the game are very good, and some of the newer zones shine with fantastic lighting, fog and other environmental effects. 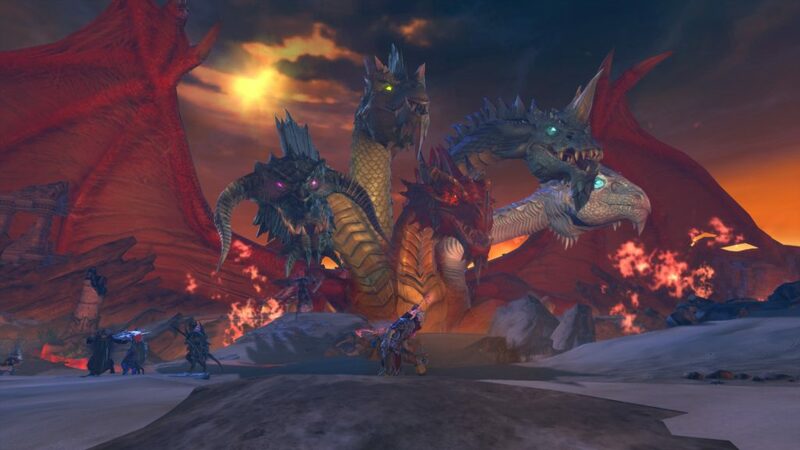 Barovia is probably my favorite zone, and fights like Tiamat are truly terrifying the first time around as the scale and visuals of the dragon blot out the sky. I haven’t noticed any graphic bugs and the frame rate is always good on my 1080GTX. The Sound FX & Music are of good quality and well-implemented. Nothing stands out to say either is exceptional, but they fit the monsters, combat, and ambiance of the different regions. The User Interface is pretty standard, but at the same time it’s much more simplistic than other MMOGs, not overwhelming the player with 30 different skills they can queue up for combat (which I think is a good thing). The game has a Rearrange HUD option, which allows the player to move around all UI components. It’s a nice design that works well. While many people say Neverwinter is “buggy” I haven’t really encountered many Bugs, but there was a time when a unique purple dropped from a hunt and everyone rolled for it, but nobody got it. Overall, the game is quite solid save for the occasional server connection issues mentioned above. One complaint is there are Cutscenes we can’t skip. This is very frustrating and should be addressed. Every cutscene in the game should be skippable! 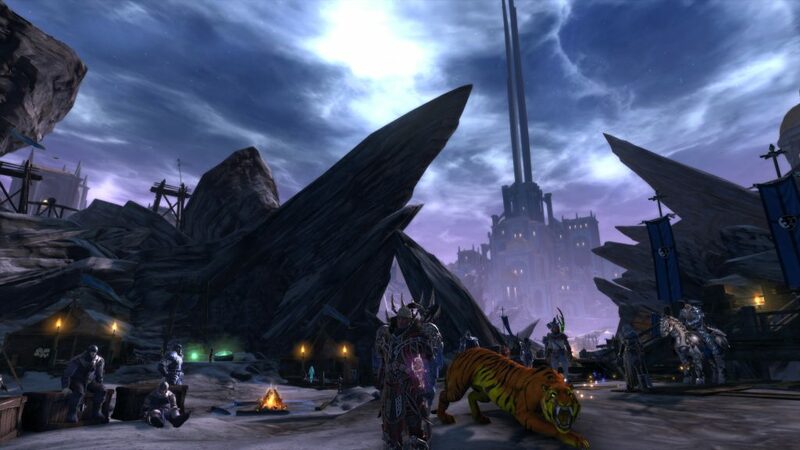 The Population of Neverwinter is solid, and appears to be growing. The subreddit has nearly 30,000 subscribers, and both the subreddit and forums are constantly bustling with activity. Granted Neverwinter doesn’t have near the population of other mainstream MMOGs (WoW, FFXIV), the player base is a different breed – the majority of people I’ve met in the game are 30 years or older, and almost all of them are D&D fans. Players are quite helpful and I rarely see any type of drama or hostile behavior between people. For the most part, Neverwinter has a solid, friendly and helpful community. Chat is traditional (Guild, Trade, Zone, etc.) except Zone chat spans all instances. This is very useful when you are looking for a specific instance that has a shorter cool down of a boss fight. One thing I don’t like is they don’t play any Sound FX when you receive a private chat; this often results in missing tells from your friends. Guilds are a big and important part of Neverwinter, not only to support the community aspect of the game, but because they provide very valuable and even powerful boons and other services. The maximum level for a guild is 20, and it takes a lot of collaborative work and effort to get there. Guilds have Strongholds, custom realms with vendors, quests and events. Guilds have ranks, banks, vendors, structures, and more. Players can contribute to the guild by feeding the coffers specific items they acquire by running events/quests within the stronghold zone, or through opening chests from specific outside world events/dungeons. There are also Alliances where up to roughly a dozen guilds can share a chat channel and visit each others stronghold to use vendors and participate in events. All in all, the guild system of Neverwinter is very well done and endorses collaboration, communication and benefit for membership. Players can form Parties of up to 5 players to participate in events and dungeons. One feature I really like is the ability to form a Group or a Queue Group. The Queue Group feature allows players to enter the queue for a group event without actually being in a group until the event/dungeon is available. This is useful for players who are actively engaged in solo content and cannot join a group, but want to queue up with friends for dungeons that could take 10-15 minutes to get into. The Neverwinter Reddit community is great and quiet active. If you have any questions or need help, there are thousands of players available to answer your post. Ultimately, with the Diverse Variation in gear, class builds, companions and mounts, the diversity in attire is fantastic. Running through town and zones that are very active is always a fun experience; even now I occasionally see companions and mounts I’ve never seen before, and no two characters look the same. Most players agree the game is a tutorial until level 70. That’s when the real action begins, and it’s an accurate statement. 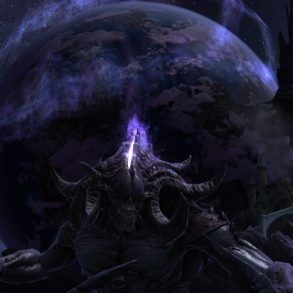 End-game is similar to other MMOGs whereas it’s all about campaign (quest) completion (which provides character-enhancing boons) and gearing (which includes hunts and daily farming of astral diamonds). The game is really designed to support a player focusing on a single character, maxing out their powers by completing campaigns, refining enchantments to Rank 14 and equipment, mounts and companions to legendary and mythic. This takes a long time and a lot of play. The highest Item Level achievable by a character is roughly 19,000, which is estimated to take over a year if one were to play every single day on a single character for more than 4 hours. That is unless one was willing to shell out thousands of dollars to purchase campaign completions and Zen for item acquisition. So yes, one can buy their way into the end-game, but it simply circumvents the experience. 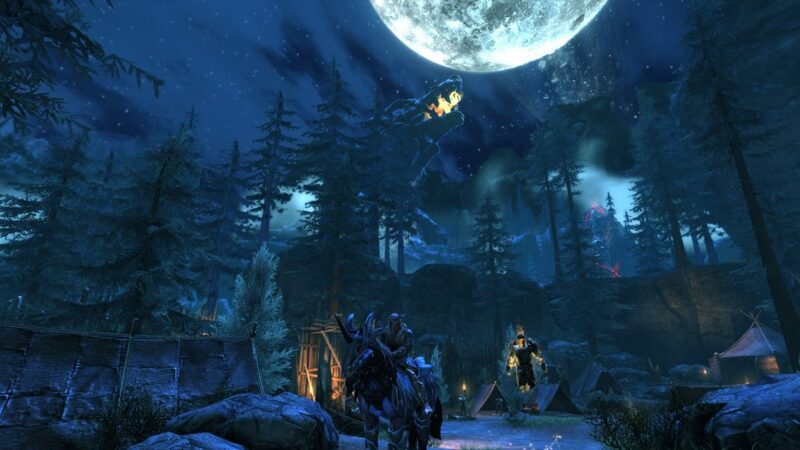 Most agree, completing the campaigns and hunting for items is part of the fun that is Neverwinter. Once a character hits level 70, the character continues to receive a “level reward” which includes Rough Diamonds, Refinement Points, and the chance to obtain an additional power point to help boost all of the class skills to rank 4. To sum things up, there’s a ton to do on a daily basis. While some of the campaigns can become a bit redundant, there are so many things to do, a player always has something to focus on to progress their character and pursue tougher content. As mentioned at the start of this review, Neverwinter is a very good game. It has been refreshing to play, and I’ve thoroughly enjoyed how it differs from a traditional MMOG. I admit the repetition of daily campaign runs can be quite tiresome, but the combat system, differences in class play styles and overall progression system for equipment, companions and mounts is well-designed. The game also attracts an older and more mature gaming community; it’s my experience the average age of the Neverwinter players I’ve met is around 40. I personally recommend players invest into the VIP system (at a minimum) and try the different classes before deciding what they want to take through all of the campaigns and focus on maximizing. At this time, it is advised not to invest real money too heavily into the game until the release of Mod 16. We know there are enough changes that some standard purchase investments (especially tied to companions) are going to change enough to where $20 here and $20 there could end up needing a complete replacement. Current end-game gear is also going to be changing with the level cap moving to 80. But as mentioned, Mod 16 isn’t dropping for roughly 3 months, so there’s plenty to play and do until then, and plenty of investment that will carry over just fine (VIP, Account Mounts, Bank Slots, Campaign Completions, etc.). If you haven’t tried Neverwinter, definitely give it a shot! I don’t think you’ll be disappointed!